James has, yet again, done something indescribably stupid and almost gotten us all killed. This makes the four-hundred and seventy-third time. This month. Not that I’m counting or anything. At least, that’s what I assume any given page out of Spock’s diary would look like, if he were to ever keep one. Which he wouldn’t, because he would either get bored of it after a few weeks and forget it ever existed--that is, until he needed to bring it up to prove a point or best someone in an argument--or he wouldn’t see the point in writing down one’s innermost thoughts for anyone to find. Welcome, friends, to the mind of an INTJ*. Make sure you have your travel buddy because it’s quite the labyrinth. 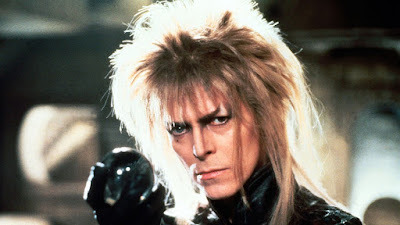 Unfortunately, David Bowie probably isn't waiting at the end. You’ll frequently find INTJs and ENTPs together, often as bitter enemies, occasionally as the loyalist of friends, always as a dynamic and complex duo: Spock and Kirk, Batman and the Joker, Castle and Beckett, Hamilton and Burr, the Mythbusters. There’s a reason for this, I think. See, all MBTI types are broken down into four functions: intuition, sensing, thinking, and feeling. Each of these functions is either extraverted or introverted--focused on the outside world or focused internally--and the order of the functions determines how a person acts. So, INTJs are broken down into introverted intuition, extraverted thinking, introverted feeling, and extraverted sensing, in that order (Ni-Te-Fi-Se). ENTPs are broken down into extraverted intuition, introverted thinking, extraverted feeling, introverted sensing (Ne-Ti-Fe-Si). Notice anything interesting? They’re shadows of each other. ENTPs and INTJs have the same functions in the same order, but all of them are switched concerning introversion and extraversion. So ENTPs and INTJs are essentially twins and polar opposites at the same time. They think in the same meandering patterns--so Spock can fully follow Kirk’s crazy plans from beginning to end--but those thoughts are filtered through different outlooks on life. Essentially: I understand you, you’re just not right. Nonetheless, Spock would follow Kirk to the outer reaches of the galaxy--and only partially to keep him from accidentally killing himself and everything in the vicinity. Friendship, at its core, is illogical. People tend to cause more problems than they solve, and all the emotional energy that’s spent trying to understand the mind of another human so as not to accidentally offend them could be much better spent solving problems with galactic significance. Life is safer, easier, and far more productive when you’re not constantly babysitting an irresponsible, devil-may-care starship captain. Yet these two have somehow formed a deep, nigh inseparable, bond. And the Enterprise--the galaxy, even--is a better place for it. 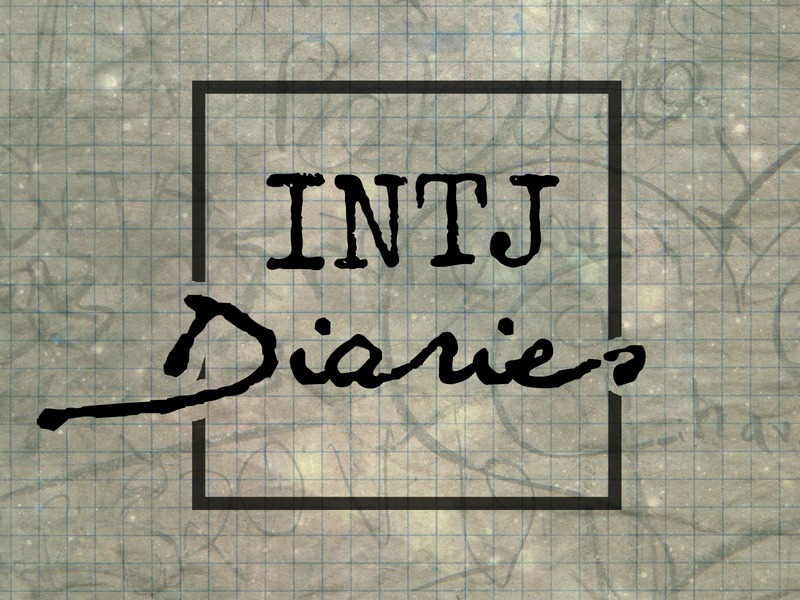 Because what most INTJs don’t realize is that while we’re pretty darn good alone, sometimes--sometimes--we’re better as half of a duo. And who better to fill in that dynamic duo than our shadow? The Captain Kirks, Shawn Spencers, and Peter Quills of the world? So, despite the fact there are many, many great friendships in this amazing franchise, and despite the fact that Bones is by far my favorite character, these two will always be my favorite Star Trek friendship. Because they’re friends despite logic, despite reason, and despite the number of times Kirk has gotten them both into trouble. There’s just something so irresistible about a rebel, isn’t there? Who’s your favorite Star Trek friendship? 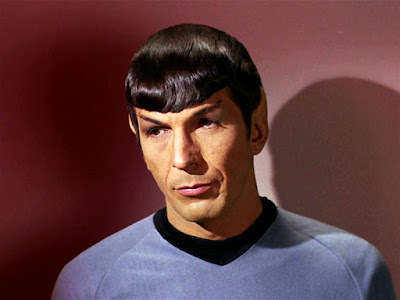 *Since Spock is a Vulcan--an alien society that has made common and desirable the complete mastery of emotions--I’m not sure that he could truly be classified an INTJ. That being said, comparing him with other humans, he is definitely an INTJ. That logic and that skeptical, long-suffering look? I mean, come on. That adherence to logic, incomprehension of emotion, ability to turn facts into predictions, and unwavering loyalty to Kirk? Definitely an INTJ.